As a small child I began to draw and paint things in nature. I would become so enamored with a flower or a tree that by drawing it I could somehow come to terms with it’s beauty. As I grew older I discovered that my ability to make images helped me understand some of the subjects in school and compensate for what is now known as ADD. Making art has always been an integral part of my life and way of being. It is a method of processing my perceptions, it is meditation and a place where I meet with myself; a way of comprehending (or exploring) my relationship to the world. During my graduate studies I began to experiment with abstract imagery and came to understand that abstraction is not a distortion of reality but a more direct expression of its essence. Abstraction, for me, deals with characteristics and dynamics that transcend the limitations of pictorial images. A non representational image can arouse feelings, identification and sensation in the memory without specific references which can allow for deeper examinations. When I am working, my intentions always give way to the intuitive, exploratory and problem solving process of painting itself which leads to the ”flow”. It is here that the dictates of the unconscious begin to emerge and register graphically. I liken it to being in a darkroom developing unlabeled film of places and experiences. It’s an indescribable sensation to suddenly realize that a painting with it’s elements of light, texture, color, etc configure to evoke a place that I remember along with its experiences. 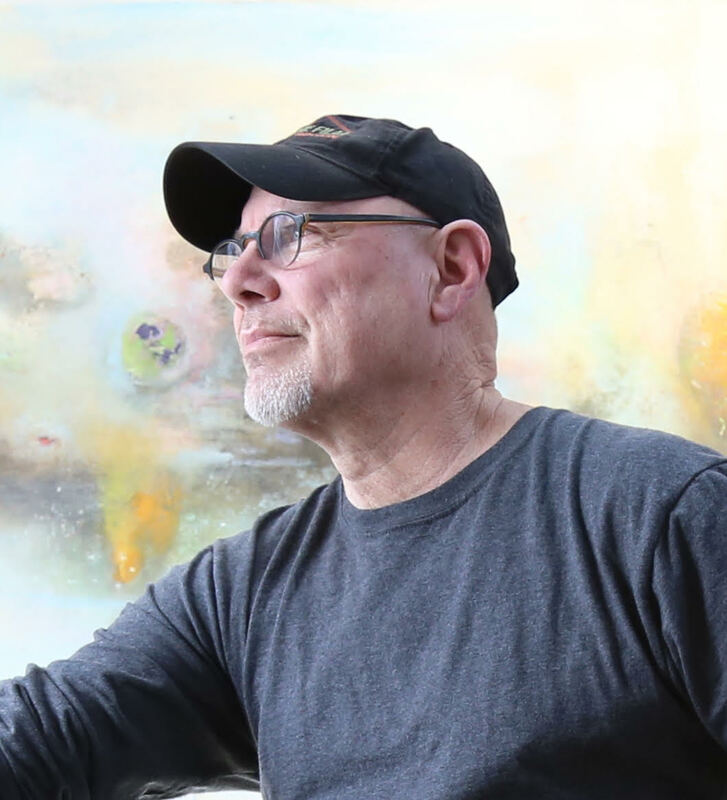 Born in Vinita, Oklahoma, Goodwin received a Bachelor of Fine Arts degree from Oklahoma State University in 1974 and completed a MFA degree from University of Illinois in 1976. In 1978, the artist established a New York studio and worked as an assistant to Leon Polk Smith 1980-81 and served as an associate of Duke University Leadership and the Arts from 1997-2003. Goodwin has received honoraria from The Drawing Center, NYC, Iona College, Oklahoma State University and Duke University. Solo exhibitions include New York, Aspen, Tokyo, Frankfurt, Wiesbaden, Santa Fe, Lenox. Berkshire Museum, and others. Goodwin’s work is included in many corporate and private collections in the USA and abroad. Museum collections include Bartlett Art Center, Oklahoma State University, Museum of Fine Arts, Flagstaff, Neuberger Museum SUNY Purchase, NY, Decordova Museum Lincoln, MA, Naples Museum of Fine Art, Naples FL, The Butler Institute of American Art, Youngstown, Ohio and the Berkshire Museum, Pittsfield MA. The artist now resides and works in Pittsfield, Massachusetts.